MCCS is happy to provide a wide selection of some of the most popular quick-service restaurants available. If you crave Mexican, Asian, Italian, or general American, we have an offering for you! We have more selections coming in the next few months, so check back here for those new venues! At Chipotle (pronounced chi-POAT-lay) we aim to do a few things but do them exceptionally well. 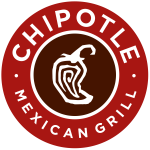 When Chipotle first opened its doors in 1993, the goal was simple: to serve high quality, delicious food quickly with an experience that not only exceeded, but redefined the fast food experience. Denny’s is America’s diner. This is where Americans have come for over 60 years now to sit back, relax, and enjoy delicious, hearty meals 24/7, every day of the year. From breakfast anytime to satisfying lunches and dinners, if you’re in the mood for it, chances are we’re serving it. 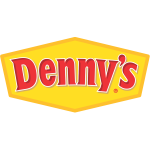 Denny’s is always open, always welcoming and always serving up hearty diner food along with a mug of fresh hot coffee. So come on in anytime, park yourself in a comfortable booth, take a seat at the counter, whatever you want, because it won’t take you long to understand why we’re truly America’s diner. 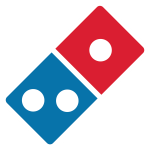 The MCAS Miramar Domino’s has an 80 seat restaurant with 11 flat panel TV’s and NFL ticket for great sports viewing. It is open to all hands and families are welcome! It is co-located with Legends Sports Bar, so it is a great place for a beer or favorite cocktail to enjoy with your pizza, salad, sandwich, or pasta dish. Founded in 1950, Dunkin’ Donuts is America’s favorite all-day, everyday stop for coffee and baked goods. 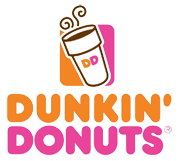 A market leader in the hot regular/decaf/flavored coffee, iced coffee, smoothie, donut, bagel and muffin categories, Dunkin’ is ranked No. 1 for customer loyalty in the coffee category by Brand Keys for nine years running. NOTE: Our flight line location is open seven days a week! Location: Elrod & Gonsalves / northeast corner. Healthy breakfast, quick lunch or a delicious snack. Try Jamba Juice fruit smoothies, all-natural baked goods, steel-cut oatmeal, sandwiches and more! Our specialty is a unique style of Hawaiian plate lunch, featuring two scoops of rice, a hemisphere of creamy macaroni salad, and a generous helping of an aloha-infused hot entrée.. Menu | Nutritional Information | Delivery Options! Eat-in, take-out and drive-through service is available. 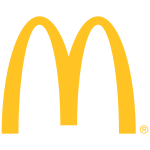 McDonald’s accepts all major credit cards (American Express, Visa, Mastercard and Discover). Hot, fresh and flavorful, that’s what you can expect for the nation’s largest Asian-themed restaurant! Panda serves up Chinese-inspired flavors, and offers an out-of-the-ordinary experience. You can find food that ranges from healthy to indulgent, savory to spicy, plus sweet and spicy! In every case, Panda has you covered for what you crave in Asian food. Need catering? 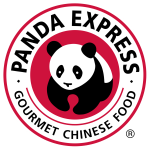 Panda Express is ready, willing, and able to provide for your event, just call or stop by! Stop in to enjoy a cup of your favorite coffee today! 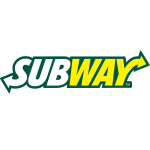 The SUBWAY® brand is the world’s largest submarine sandwich chain with more than 37,000 locations around the world. We’ve become the leading choice for people seeking quick, nutritious meals that the whole family can enjoy. Taco Bell brings people together with Mexican-inspired food. We’re one of a kind—like you. Fresh Hand-made Sushi, Poke and Teriyaki Bowls, Maki rolls and assorted salad made daily for your convenience. Stop by at all three Marine Mart locations; Gonsalves, Elrod and the Flight Line. Freshly made and delivered at 10am and 3pm from the Flight Line Marine Mart. We also take catering orders for pick up. See staff for details.